Suffering a serious injury in an accident can greatly impact your life. In addition to the physical pain you have to endure, medical bills can put a serious strain on your finances. If your injury prevents you from going back to work for an extended or indefinite period of time, it can be immensely stressful wondering how you will earn a living and provide for yourself and your family. If you were injured in an accident or lost a loved one due to someone else’s negligence, you may be entitled to receive compensation for damages. You need someone on your side who will help guide you through the emotional and physical healing process, as well as help you get the justice you and your family deserve. Personal injury victims and families of lost loved ones in Marion County have come to rely on the Slonaker Law Firm in their hour of need. Lead Attorney Ronald Slonaker provides each client with personalized one-on-one service, which is something you’d be hard pressed to find at a larger firm. He is dedicated to helping his clients obtain the maximum compensation available and will passionately advocate for your best interests at every stage of your claim or lawsuit. As a former police officer and insurance defense attorney, Slonaker brings a unique blend of expertise and perspective to every case he takes on. No matter what type of injury you have sustained, Slonaker knows how to negotiate effectively with insurance companies to get you a fair settlement. If the insurance company or at-fault party is unwilling to accept liability or offer proper compensation, Slonaker will not hesitate to aggressively fight for your rights in court. 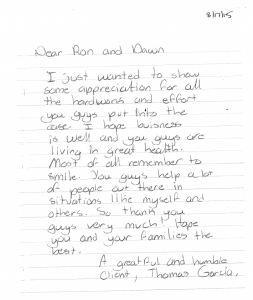 Call today to schedule a Free case evaluation. (352) 629-6656 or after hours call 352-777-8176. Injuries caused by accidents can range from mild to catastrophic. If you have suffered a severe injury in an accident, we may be able to help you collect damages for compensation beyond that which is available through insurance claims. careless actions, recklessness or negligence. The responsible parties can be individuals, small, medium or large businesses and government agencies. Slip and Fall Accident Claims: If you slipped or fell on property owned by someone else, the owner may be held liable if he/she was aware of the dangerous condition and failed to correct it. Product Liability Lawsuit: If you were hurt by a product that was defective, the manufacturer or distributor may be held liable. Workers’ Compensation Law: Employers in Florida are required to carry workers’ compensation insurance. If you are injured on the job or developed an occupational illness, your employer and/or their insurance carrier is responsible for compensating you for medical expenses and lost wages while you are out of work. If your injury was caused by a third-party, you may be able to file a personal injury claim in addition to receiving workers’ comp benefits. Wrongful Death/Medical Malpractice Cases: If your loved one was killed as the result of a negligent or reckless act you may be able to file a wrongful death lawsuit. Doctors and other medical professionals must adhere to a standard of care. Auto Accident Claims: In car accidents only, Florida follows a no-fault system. 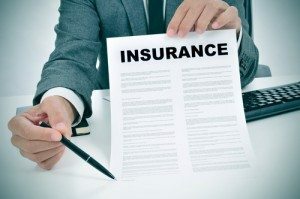 This means that if you were in an auto accident, you would rely on your own insurance coverage to pay for your medical bills and lost income regardless of whether someone else caused your accident. Your treating physician’s medical opinion will be instrumental in determining whether or not your injury is permanent and meets the injury threshold. Once you have reached MMI, your doctor will assign you a disability rating. The higher the disability rating in most circumstances, the greater the value the insurance company is likely to place on your case. expenses and 60% of your lost wages up to a maximum of $10,000. Regardless of whether you were at fault, PIP will still pay your medical bills and lost wages. If a loved one was killed in a car accident, no-fault insurance will provide compensation to the survivors for the income your deceased would have made, usually limited to a maximum amount per month for a set time period. Under your own insurance policy, you may have coverage called Medical Payments Coverage, or Med Pay, in the amount of $5,000. If your PIP covers 80% of your medical expenses, Med Pay will cover the remaining 20%. Med Pay is available for motor vehicle accidents and accidents at a premises. Uninsured (UM) or underinsured motorist (UIM) coverage is not required in Florida, but it can be one of the best ways to protect yourself after an accident. Unfortunately, nearly a quarter of Florida drivers do not have auto insurance. In fact, the state has the fifth highest rate of uninsured drivers in the nation. If your accident was caused by an uninsured driver, we would make a claim for you under your own uninsured motorist coverage. If you don’t have UM coverage, you may be able to seek coverage under another policy (member of your household). Attorney Slonaker can discuss these options with you. If the person who caused the accident has liability insurance but the coverage does not adequately compensate you for your injuries, we could make a claim for you under your own underinsured motorist coverage. Your insurance carrier would then cover the difference up to the limits of your policy. There are certain basic steps you can take after an accident that can protect your rights and strengthen your claim. Notify the Authorities: Always call law enforcement to the scene of an accident, even if injuries are minor and there is limited property damage. If it’s a work injury, notify your manager. Seek medical attention as soon as possible after your injury (no later than 14 days). Make sure to notify the doctor of all your aches and pains. Gather information from other parties involved in the accident. Take pictures and/or video of accident scene. Do not admit fault to other parties or to witnesses. Do not provide a written or recorded statement for an insurance adjuster and do not to sign any documents without consulting a lawyer. 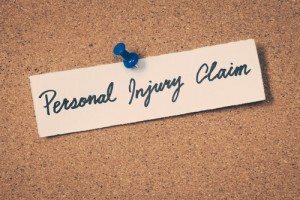 Should I File A Personal Injury Claim or Lawsuit? The personal injury claims process involves participating in a series of negotiations with the at-fault party’s insurance adjuster. The goal is to reach a settlement that adequately and fairly compensates you for your losses. Unfortunately, insurance adjusters don’t always have your best interests at heart and can be very difficult to negotiate with. In fact, they will often try to minimize their payout to you in order to achieve high profit margins for their shareholders. It’s very common for an insurance adjuster to offer a quick settlement. This may sound great but don’t take the bait! The first settlement offers are usually much lower than the true value of your claim and can leave you without the necessary funds to cover all your expenses. However, with Attorney Slonaker on your side, the insurance company won’t be able to take advantage of you. Early in his career, Slonaker was a defense attorney for insurance companies — he knows how the other side operates! He can negotiate directly with the adjuster on your behalf and will make sure you get nothing less than you deserve. 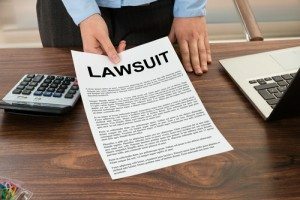 If negotiations breakdown and an adequate settlement offer can’t be reached through mediation or arbitration, the next step to consider is filing a lawsuit. Many claims for serious injuries or wrongful death are not able to be resolved in settlement and end up in court. Every state has a statute of limitations, or time frame, to abide by when filing a claim or lawsuit. In Florida, most personal injury cases must be filed within four years of the date of the accident. 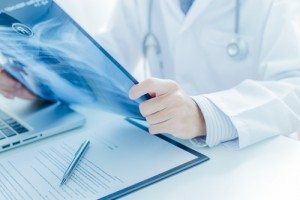 Medical malpractice suits are subject to a two year statute of limitations from the date that you knew of the malpractice. Wrongful death suits are subject to a two year statute from the date of death. 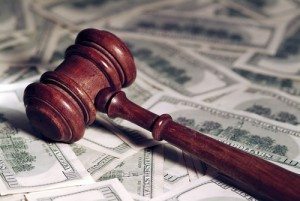 Failure to file within the statute of limitations may result in your right to recover monetary damages. If negotiations do not proceed as smoothly as we’d like, we will file a personal injury lawsuit on your behalf. This is often the last resort, but sometimes necessary if the adjuster continues to deny that you were seriously injured and doesn’t offer proper compensation. The lawsuit begins with us filing a petition in the Circuit Court. The alleged at-fault party would then be served with the Petition and given 20 days to file an answer or response. Before trial, both sides are allowed to engage in an information gathering process known as discovery. To obtain this information, interrogatories or questions are sent from one party to the to be answered under oath and sent back within a certain amount of time. Depositions may also take place, in which witnesses provide testimony under oath. Doctors involved in your medical treatment may also offer testimony to offer their medical opinion on your injury. 95% of all lawsuits are usually settled before going to trial. In Florida, you are required to attempt to resolve your claim in an alternative dispute resolution process called mediation. If you can reach a settlement, you will avoid the risk, time, expense, and energy associated with going to trial. Mediation is a settlement conference where the judge orders all the interested parties to sit down with a neutral mediator to try and work out an agreement. A mediator does not decide who “wins” and who “loses.” Their job is merely to facilitate discussions aimed towards reaching a compromise. You will not be forced to accept an offer you are not comfortable with. Attorney Slonaker will supervise the process and make sure you are getting a fair deal. If a mutual agreement is reached, it will become legally binding through a signed agreement. Your case is over and you will be paid (usually within 2-6 weeks). 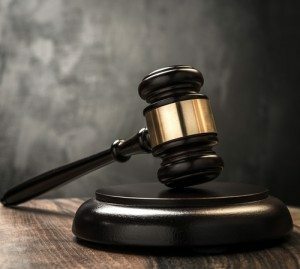 If efforts to reach a settlement through negotiations and alternative dispute resolutions fail, your personal injury case will continue to trial. (2) if so, the amount of damages the defendant must pay you. There are many factors that can impact the value of your personal injury claim. Calculating your claim’s worth can get complicated but Attorney Slonaker knows how to crunch the numbers! 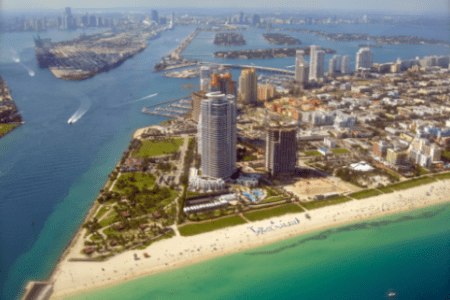 When catastrophe strikes and threatens to change the outcome of your future, it is critical that you contact a seasoned Florida personal injury lawyer as soon as possible to discuss your case. 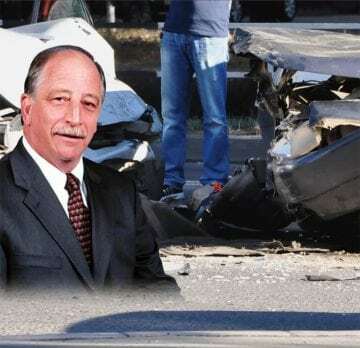 Regardless of what kind of accident you or a loved one were involved in, an injury lawyer in Florida can help you get through this difficult time step-by-step.The Slonaker Law Firm, LLC has substantial experience working with individuals and families who have been the victims of an accident and is well-prepared to fight for your rights. Ronald Slonaker is a skilled Florida personal injury attorney who has a solid track record of success in personal injury claims. He is committed to obtaining a positive outcome for you and your loved ones after a devastating incident. Contact the Slonaker Law Firm today to discuss the options you have available to you and to learn more about getting the compensation you deserve. Call now at: (352) 629-6656 or after hours call 352-777-8176.